We are committed to providing quality aged care and support for older people in South Australia. home support workers, personal care assistants, housekeeping assistants, and more! Experience high quality care in our residential aged care homes. With a little bit of support, you can remain living independently in your own home. We can help you take a break (respite) from your caring role - ask us how. Check out our range of retirement village options throughout South Australia. Speak with our friendly volunteer options guides. Live your life to the full, with independence and peace of mind in one of Resthaven’s retirement units or apartments. Caring for an older person is both rewarding and exhausting. Resthaven can help you to maintain your physical and emotional health by supporting you to have a rest or planned break from your caring role. Need help at home? Let Resthaven come to you… Our trained staff provide support with household tasks, personal care, nursing, shopping, respite, advocacy and social support, to help you to remain independent and safe in your own home. When more support is needed, our high quality residential aged care accommodation offers a warm and homelike environment, with nursing and personal care, companionship and activities. 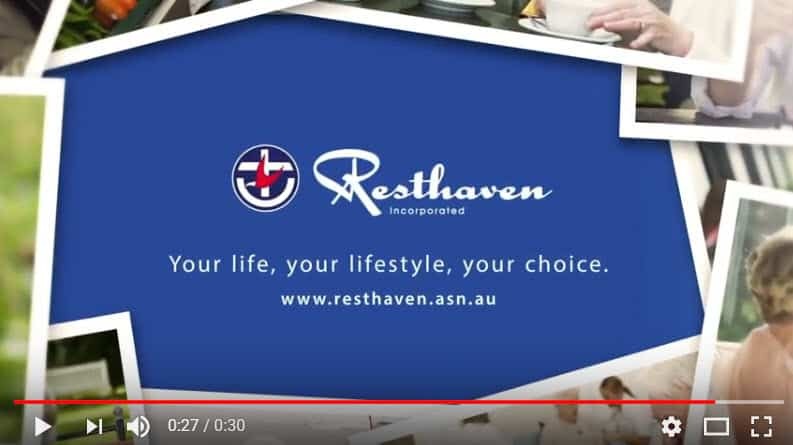 Welcome to Resthaven - quality residential and community aged care, retirement living and wellness services in Adelaide and regional South Australia. Every day, we share the lives and wisdom of older people and their carers. Whether you are looking for support to stay independent, in-home care, or residential aged care, Resthaven is here to help. We also offer a range of respite options for carers of older people. Proudly South Australian, Resthaven is a not-for-profit aged care community service associated with the Uniting Church in Australia.